Oh, Louis Léopold Boilly, you’ve captured the rapture of a gourmand! My turkey still swims in its brine and the duck thaws on the black granite counter, but what about the stuffing and side dishes? First off, thank you Bon Appétit for your Cornbread, Chorizo, Cherry and Pecan Stuffing recipe, which I’m adjusting to Cornbread, Chorizo, Cranberry and Pecan Stuffing. I’m baking cornbread tonight, this afternoon we’ll forage for fallen pecans (nod to Redzepi) and the other ingredients fall in tomorrow. By the way, as I write this I’m drinking TX Blended Whiskey from Firestone and Robertson Distilling Co. Vanilla, Custard, Nutmeg, Pecans–perfect for Thanksgiving. What about those sides? Well, this is the South so I’m using Bryant Terry’s Twice-Baked Sweet Potatoes with Winter Salsa from his wonderful book Afro-Vegan. Buy it! So many fantastic recipes. We have persimmons but they haven’t aged enough, so I’m using pomengranate–also brings in that nice underworld feel. 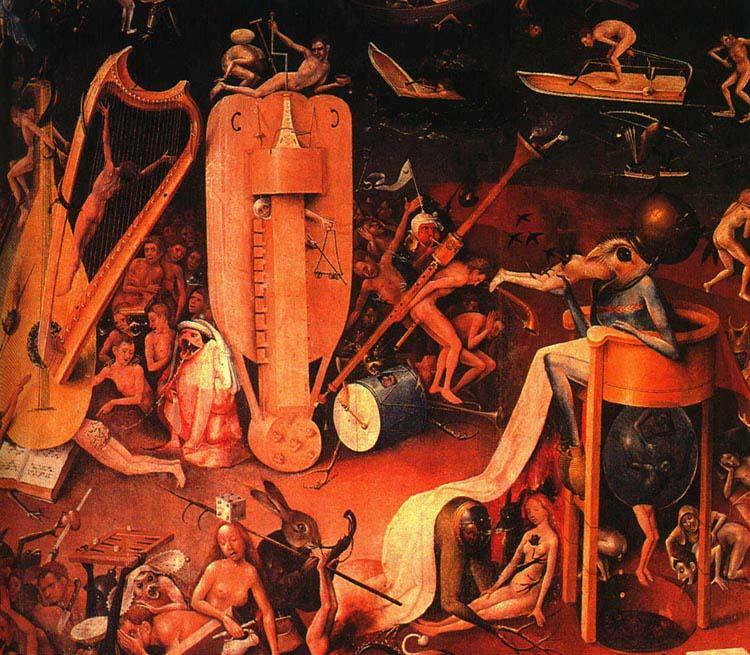 Thank you Hieronymous Bosch. To round out my adaptation–coconut oil, maple syrup, molasses, jalapeño and pecans (instead of walnuts). Glorious! What’s next? There Will Be Greens! The New York Times came out with an excellent Thanksgiving around America Food section this past Wednesday, and I’m using Mississippi’s contribution–Ale-Braised Collards Greens with Smoked Ham Hock. 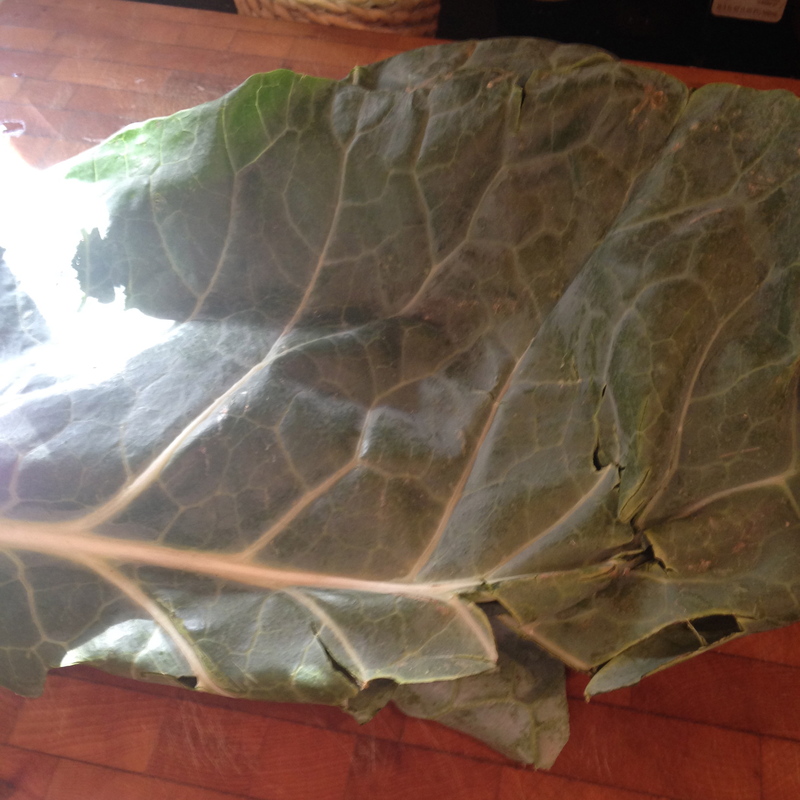 By ale, I’m using Saint Arnold’s Christmas Ale and Collard Greens courtesy of Greenling and The Home Grown Farm. Exemplary! Yes, I have mentioned wine. Let me talk about wine. 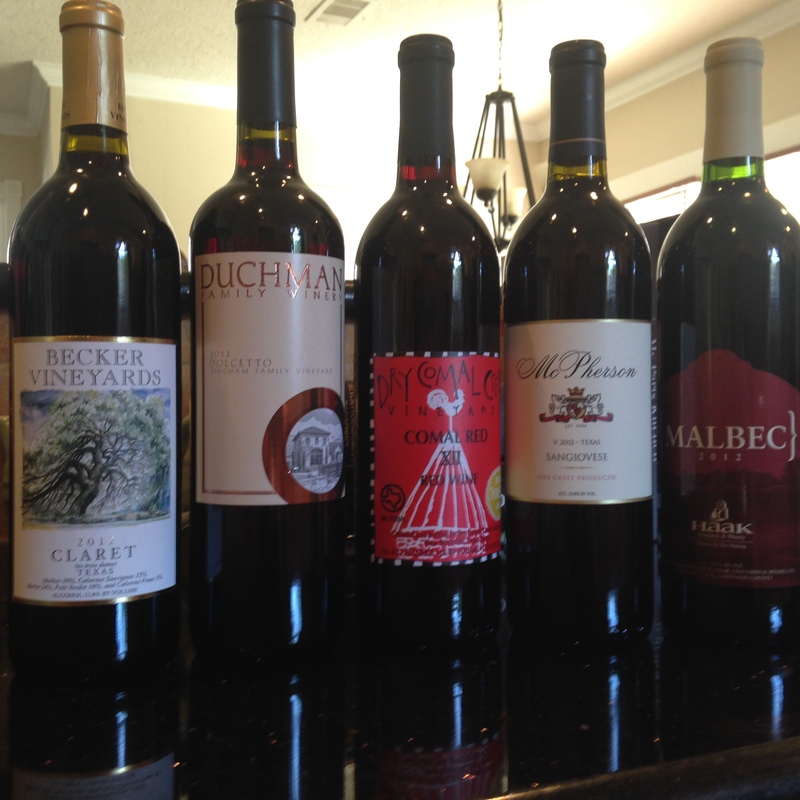 We’re serving a Becker Claret, Duchman Dolcetto, Dry Comal Creek Red, McPherson Sangiovese, and a Haak Malbec. Oh, there will be drinking! Tomorrow morning as I start smoking the turkey at eight, I’ll post on the nuances of conversation and etiquette key to a successful Thanksgiving. Bon Appétit! 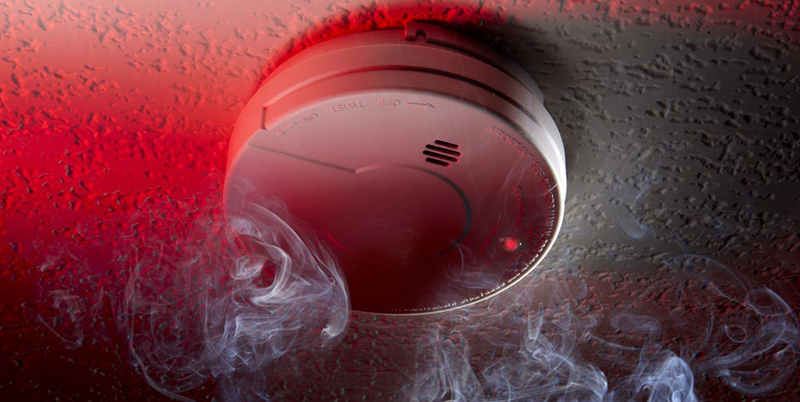 Oh, and yes, I replaced all the smoke alarms. Life happens. Previous Previous post: There Will Be Thanksgiving!